The ooo! lamp is the first design collaboration between Italian architect Sergio Mannino and Dutch designer Jan Habraken. The light is a nice blend of Italian architecture and the smart Dutch Design. Most remarkably is the fact that the light contains three 10 watts light bulbs in an era where compact fluorescent (CFL) lights are a must. This deliberate choice was made to let people think differently instead of following the “green” herd. These 3 light bulbs are a better choice for nature, even if too many out there are trying to convince you about the opposite. The energy to make the CFL bulbs and the energy to recycle it (when you do it and you don’t let the mercury spill in the dumpster) are in no comparison to the energy it saves. Not talking about the danger of millions of lamps containing mercury and the health of the people in the factories that produce them. After all, we also all have to admit that the light of the standard bulb is far more pleasant than the new LED or CFL’s. 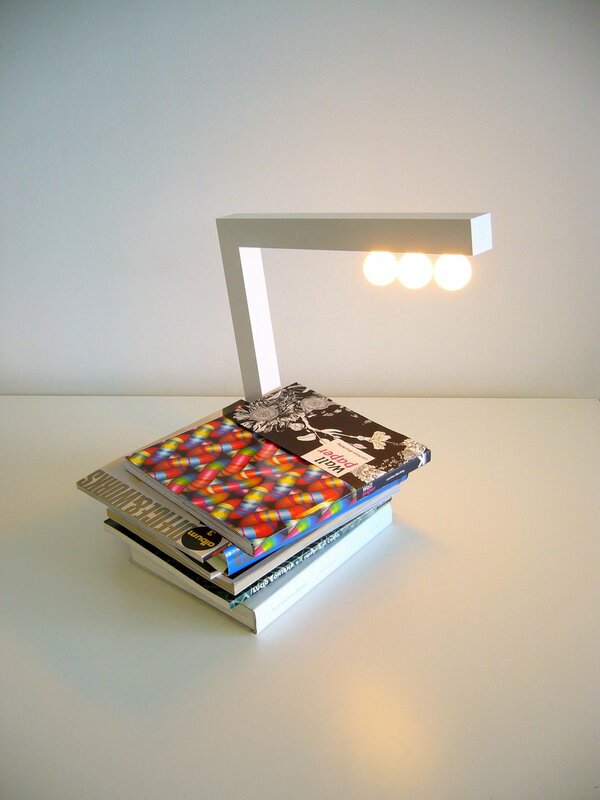 The light is a stylish ornament which can be stuck in between a pile of books.